Former Finance Minister Pravin Gordhan reacts as African National Congress Youth League members interrupt a memorial service for anti-apartheid activist Ahmed Kathrada in Durban, South Africa, April 9, 2017. Source: REUTERS/Rogan Ward. This material belongs to: Sowetan Live. Newly appointed minister of Public Enterprises Pravin Gordhan has admitted that although there’s new positive political change in the country, government still has a mammoth task ahead of them in an attempt to clean out corruption. Speaking at day two of the Federation of Unions of South Africa‘s leadership and collective bargaining conference in Pretoria yesterday under the theme ‘Ethical governance to stimulate inclusive economic growth and decent jobs in Pretoria, Gordhan said this would not happen overnight. “One of the questions we need to ask ourselves as South Africans is, ‘how did we get into this’ but far more importantly, is the fact that in recent time, with political changes that has given South Africans hope and optimism that we now have a government in place by and large which will ensure that we will reverse state capture and that we re-capture the state so that these institutions work for the South African public,” said Gordhan. Just three days into the office, Gordhan, who is back into Cabinet in less than a year since being unceremoniously sacked as Finance Minister by former President Jacob Zuma, said state owned enterprises which are captured, will be dealt with swiftly by removing everyone who may have had a hand in illegal dealings with the parastatals. “With hope and optimism comes great expectations of work, expectations that you can click your fingers and solve all these problems and one of the things we are learning is that these sort of changes where we want to reverse the bad things that have happened in our country, won’t happen easily,” he said. In January, Zuma announced the establishment of a commission of inquiry, saying allegations that the “state has been wrestled out of the hands of its real owners, the people of South Africa” needed to be investigated. Without mentioning anybody by name, the minister said he foresees a tough task ahead of them as those who have benefited through state capture, will fight back and resist the rolling back of state capture, adding that those implicated would use delaying tactics including sabotaging any probe against them. Gordhan, who has been a critic of corruption, grilled a few of Eskom‘s board members and executives including his predecessor over the past couple of months in Parliament’s public enterprises portfolio committee’s meeting on corruption allegations at the parastatal which now falls under his portfolio. The minister vowed to clean out the rot at Eskom and other state owned entities as Ramaphosa said it should be governments first priority to grow the economy and regain investor confidence during his state of the nation address. He also alluded that that they will be changing certain boards in SOE’s to ensure good governance. He called on unions, business, civil society and South Africans in general, to find a common purpose of creating jobs and reducing inequality. 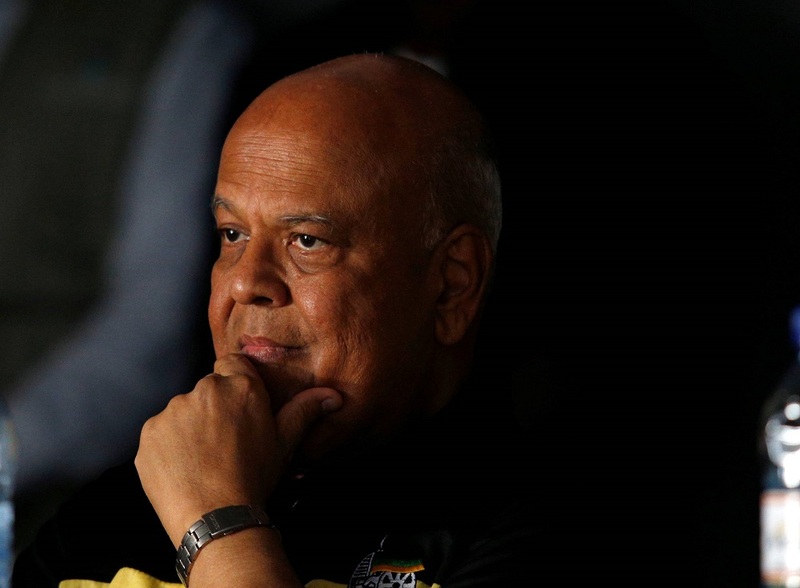 Gordhan replaced Lynne Brown two weeks ago after President Cyril Ramaphosa reshuffled his cabinet which saw ten ministers linked to Zuma being axed.